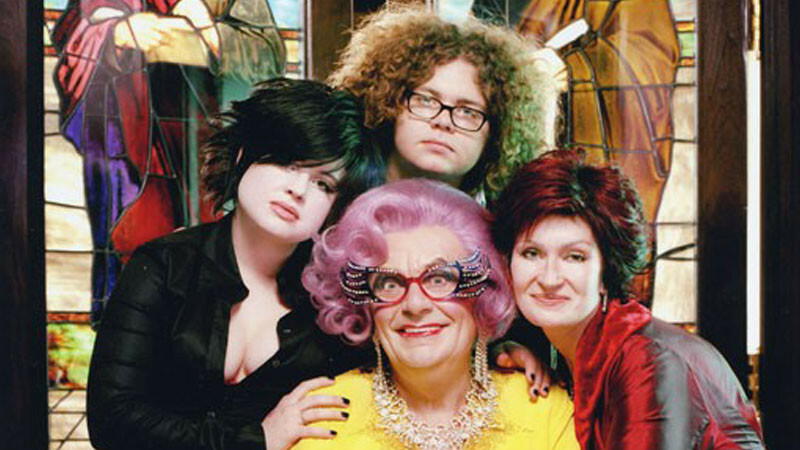 At Christmas 2003, the world’s favourite housewife megastar, Dame Edna Everage returned to the UK for a star-studded television spectacular. 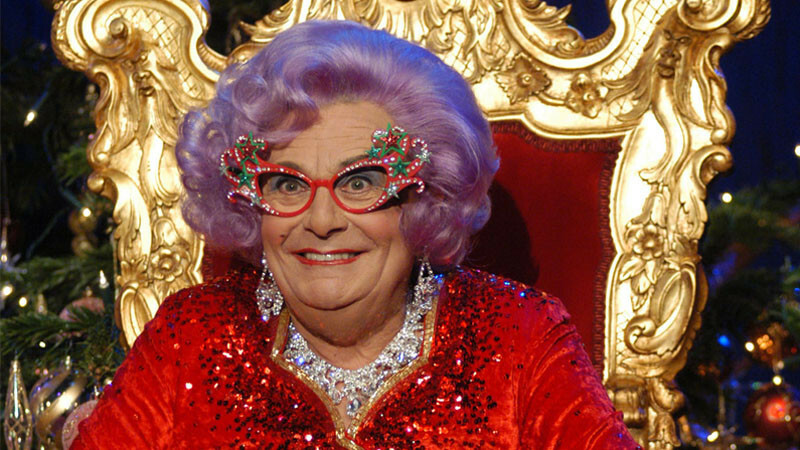 For one night only she was joined by a select group of showbiz friends for a night of laughter, music and mayhem – all broadcast from Dame Edna’s exclusive new London pad – Buckingham Palace. The Osbournes, Ronnie Wood & Jerry Hall are but a few of the celebrities who shared the festivities.